Hiring Ad campaign stopped running on Instagram? While the tactics you used before to get in front of right candidates may have worked before, but now it’s all changed. 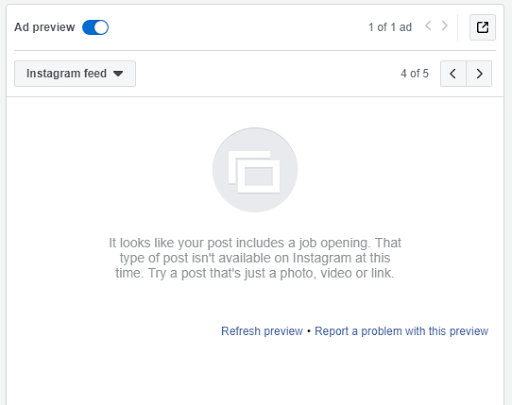 Facebook introduced some changes on Instagram specifically for hiring ad campaigns. Recently Facebook made an update on its mobile platform – Instagram. 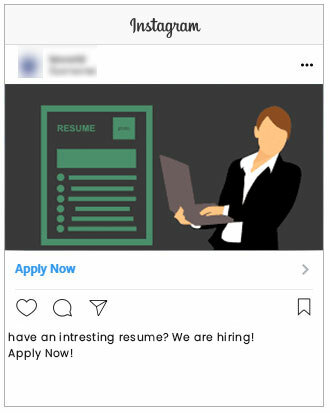 This update disallows advertisers to run recruitment based campaigns with job-specific text directly displayed in the design. 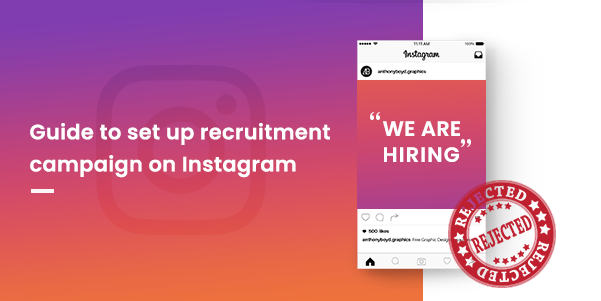 It means if you are designing a post which says ‘ We are hiring’, it will not get approved on Instagram, however, it will still continue to run on the desktop. Usually, this type of campaign will get disapproved only during the manual verification stage. It may return an Error Message: “This ad can’t be edited because its ad type has been discontinued or isn’t supported”. If you got a similar error message while running a recruitment campaign, your’s may be the same situation. No more leads from Instagram!!! If one analyses the leads generated from a Facebook campaign, one can note that most of the leads are generated from Instagram. Well, It’s so obvious since Instagram is a mobile platform and thus is more convenient for the users. Avoiding Instagram (Insta story and Insta post) will make the task of the lead generation more difficult as it will remove the major source of audience. This can lead to a negative impact on your Cost Per Acquisition (CPA). Running a campaign with fewer leads and high CPA is definitely a burden. 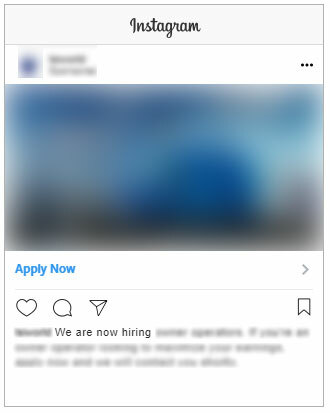 According to Facebook’s requirements, one cannot use recruitment related text on the design, but there is no limitation on the post description. This gives us an option to create a description with a catchy phrase related to hiring. Similar posts with catchy descriptions can be used, but the question is, is it going to be effective? To be honest, No. It’s always better to convey the matter through design as it is the main factor which attracts the users. How to overcome this? Well, it’s up to the designing team. 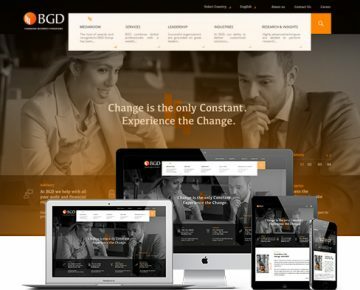 They have to come up with a design which can actually convey a recruitment theme with literally zero text. Above one is just an example, different approaches can be used to come up with more attractive and creative posts. This finally solves the issue, we have created a post by fulfilling every requirement of facebook. It has no text related to recruitment and is perfect for running our campaign. Social media platforms are constantly evolving. Whatever the changes are we can always dig up something to confront it. All we need is close observation and adaptiveness. With through and strict algorithms our job will definitely get difficult but will never be impossible. If managing your social media pages is a hard task for you, you can always contact us also. Cheers!